"Robert's Engines, Inc. of North Carolina and Automotiveinet respect and are committed to protecting your privacy. We may collect personally identifiable information when you visit our site including information submitted via any forms on our site. We also automatically receive and record information on our server logs from your browser including your IP address, cookie information and the page(s) you visited. We collect this information so that we can better serve our customers and we will not sell your personally identifiable information to anyone." This “Agreement” describes the conditions and terms under which you may use the Robertsengines.com Web Site, its products and/or services. "We", "Our" and “Us” refer to Robertsengines.com, Automotiveinet, its corporate owners, any affiliated companies, corporate officers, directors, partners and shareholders. "You" and “Your” refers to the user of the Robertsengines.com Web Site and any of its products and/or services. OUR SERVICES ARE AVAILABLE ONLY TO LEGAL ENTITIES AND TO INDIVIDUALS WHO CAN FORM LEGALLY BINDING CONTRACTS UNDER APPLICABLE LAW. YOU MUST BE AT LEAST 18 YEARS OLD TO USE THE Robertsengines.com WEB SITE, ITS PRODUCTS AND/OR SERVICES. WE MAKE NO GUARANTEES TO THE ACCURACY OR COMPLETENESS OF ANY INFORMATION PUBLISHED ON OUR SITE NOR CAN WE BE HELD ACCOUNTABLE FOR ANY DAMAGES OR LOSS RESULTING FROM YOUR USE OF INFORMATION OBTAINED FROM Robertsengines.com INCLUDING BUT NOT LIMITED TO COPYRIGHT OR TRADEMARK INFRINGEMENTS. We have no control over other web sites that may be accessed via hyperlink or otherwise through Robertsengines.com therefore we cannot be held liable for any content or legal issues resulting from your access and use of those web sites. 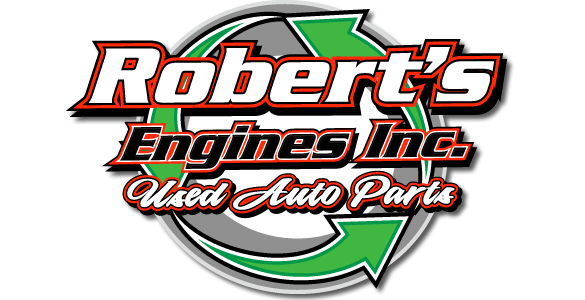 Robertsengines.com DOES NOT ENDORSE ANY WEB SITE, BUSINESS OR OTHER ENTITY AS WELL AS ANY OF THEIR ASSOCIATED PRODUCTS OR SERVICES THAT ARE REFERENCED, ADVERTISED OR PROMOTED FROM OR ON OUR WEB SITE NOR DO WE GUARANTEE OR WARRANT ANY OF THEIR PRODUCTS AND/OR SERVICES. Information on Robertsengines.com is published for your personal non-commercial use only. Any other use is strictly prohibited. Information obtained from this site as well as the web site and its programs may not be copied, reproduced or redistributed in any way. All information published on Robertsengines.com is trademarked or copyrighted or both by Robertsengines.com, Automotiveinet, Automotive Industry Network, Inc. our advertisers, affiliates or other parties. We want to protect the rights of others so please notify us if you encounter any trademark or copyright infringements on this site so that we can investigate the matter. YOUR SOLE AND EXCLUSIVE REMEDY FOR ANY DISPUTE WITH US IS TO DISCONTINUE YOUR USE OF Robertsengines.com IN NO EVENT SHALL OUR LIABILITY FOR ANY AND ALL CLAIMS RELATING TO THE USE OF OUR WEB SITE EXCEED THE TOTAL AMOUNT OF FEES or PURCHASE AMOUNT IN DISPUTE. While we are under and accept no obligation to monitor the text and content on Robertsengines.com we reserve the right to monitor, view, remove or block any information that we consider illegal, inappropriate, damaging or for any other reason. You understand that any information that you submit to Robertsengines.com or any of our advertisers, affiliates or partners through any of Robertsengines.com’s services including but not limited to our Send an E-note and Valet Shopper features is subject to our monitoring policies and terms and by using those features you agree to these terms. Any information and/or images or otherwise that you submit to us through our web site will become the property of Robertsengines.com unless otherwise noted appropriately on this web site. At Robertsengines.com we are committed to protecting your privacy. We may collect personally identifiable information when you visit and navigate through our site including your IP address, cookie information and information about the page(s) you visited while on our site. We collect this information so that we can better serve our customers and we will not sell your personally identifiable information to anyone.